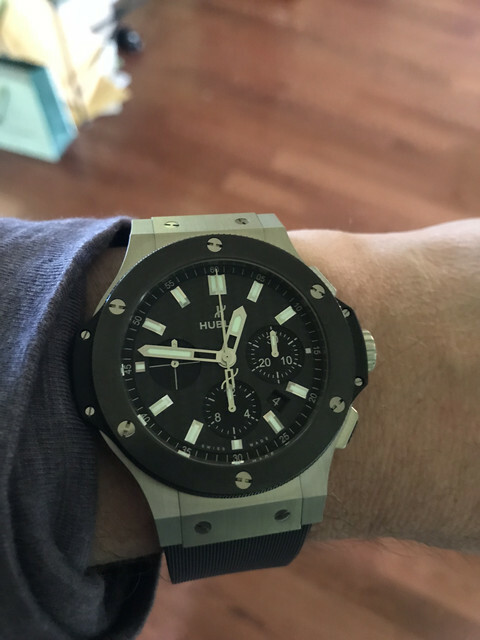 TimeZone : Hublot » What took me so long? For some reason, I never warmed up to the Big Bang, despite enjoying "big" watches like Panerai. My first impression was formed by the original versions. Never was a big fan of the Arabic numerals, and I never really gave them another look. But I was recently reintroduced to the "art of fusion", and I was hooked. Now I understand...and I am very very happy. Nice choice. Wear it in good health. Very nice, but I must say I prefer the stick markers. Hi Ben - a big contrast and welcome to club ! Good choice! One of my favorites. Congrats! 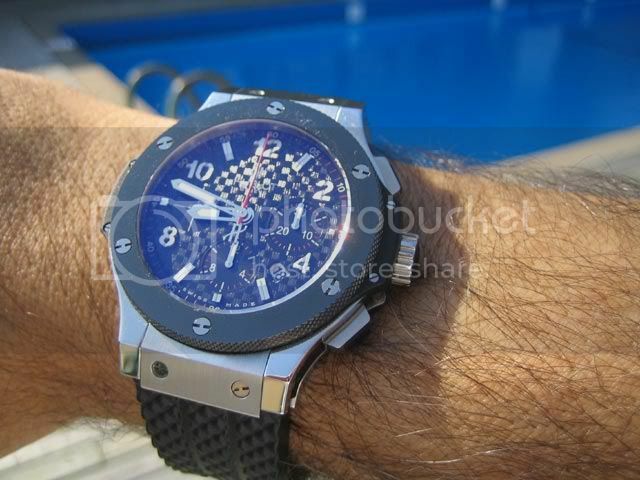 I was the same way, got my first Hublot and now I can't stop buying them. Previous Topic: Rainbow Sapphire: For the "man who has everything"